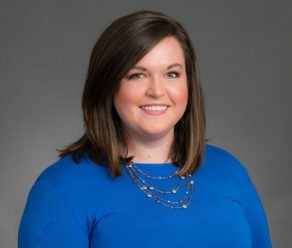 Malorie graduated with a Minor in Psychology and a BS in Management from Clemson University in 2009, before earning her MBA, concentration in Human Resource Management, from North Greenville University 2013. Malorie enjoys working at Clarity because she enjoys managing the behind the scenes operations of nonprofits, and has passion for helping children and adults with disabilities. Working at Clarity allows her to do both. She loves helping to make sure children and adults in the Upstate of South Carolina receive the services they need to be successful. When not at Clarity, Malorie enjoys learning new skills, cooking, DIY projects, cheering on the Clemson Tigers, visiting new places, and spending time with her husband. Her favorite cold treat is Coconut Caribbean Gelato.